Ireland is famous for its verdant greenery. It is covered with lush vegetation, its hills and valleys filled with rich flora and fauna, and gently tumbling brooks. It is a magical place that can be impossibly beautiful, as Yeats and Keats have immortalized it. Yeats was Irish and Keats travelled to Ireland and fell in love with the lush green Irish countryside that many contend is unmatched by anything else in the world. One of the best ways to explore Ireland is by road. Though you can sail around on a boat, you will be at the mercy of the weather, and travelling by train, you are bound by schedules. When you are driving around or cycling, you can stop anywhere you want, and spend a few minutes drinking in the beauty or taking photographs. Ireland is full of sleepy villages and ancient castles and bridges that you expect to see a leprechaun at any given time. The Irish are famous for their hospitality, and even today the Irish hold ceilidh, which are evenings full of drinks, dance and music and everyone from the village and surrounding areas joins in. You can experience Ireland first hand, for real when you travel by road. 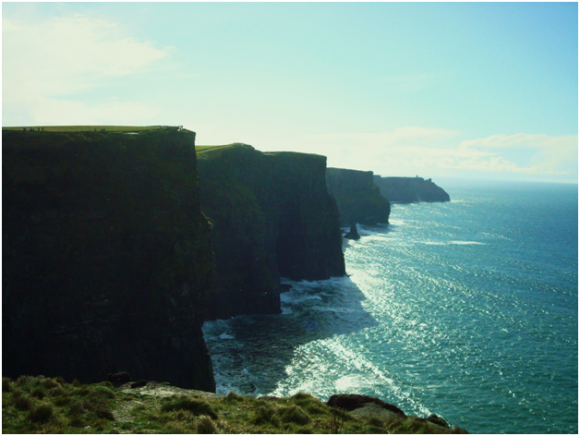 Ireland is drenched by rains almost throughout the year, which gives the country its lush hills and valleys. This means that the narrow single lane roads are full of potholes, and so plan your trip with an average road speed of 35-40 kilometres an hour. The Irish are mostly Catholic, and so have a distinctly different history than the Protestant England. 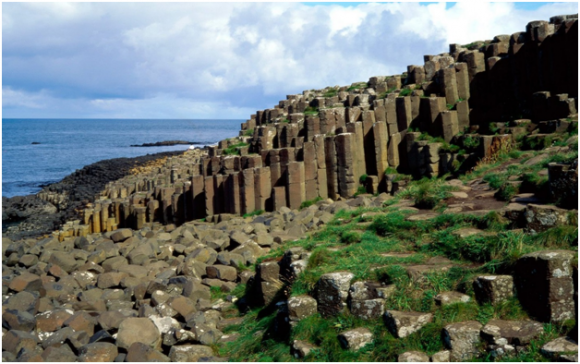 The Northern Ireland Coastline is rugged with looming cliffs that offer spectacular views, with the world’s tallest sea cliff among them. You can also have a look at the Irish Causeway where Game of Thrones was shot, when you’re driving through Ireland. The Irish drive on the left side of the road, and in the winding narrow country roads, when there is rain or fog, driving can be dangerous, especially if you’re used to driving on the right side. The problem is compounded by most country roads being single lane, with sharp turns and steep inclines adding to the problem. The coastline is dotted with picturesque towns and villages with charming castles turned into hotels, where you can live like a king, for a few days, at least.